I am standing in Oslo’s pouring rain for the unveiling of the newly acquired ‘Sturm und Drang’ (2014), Jake and Dinos Chapman’s large bronze cast from carnival novelties. 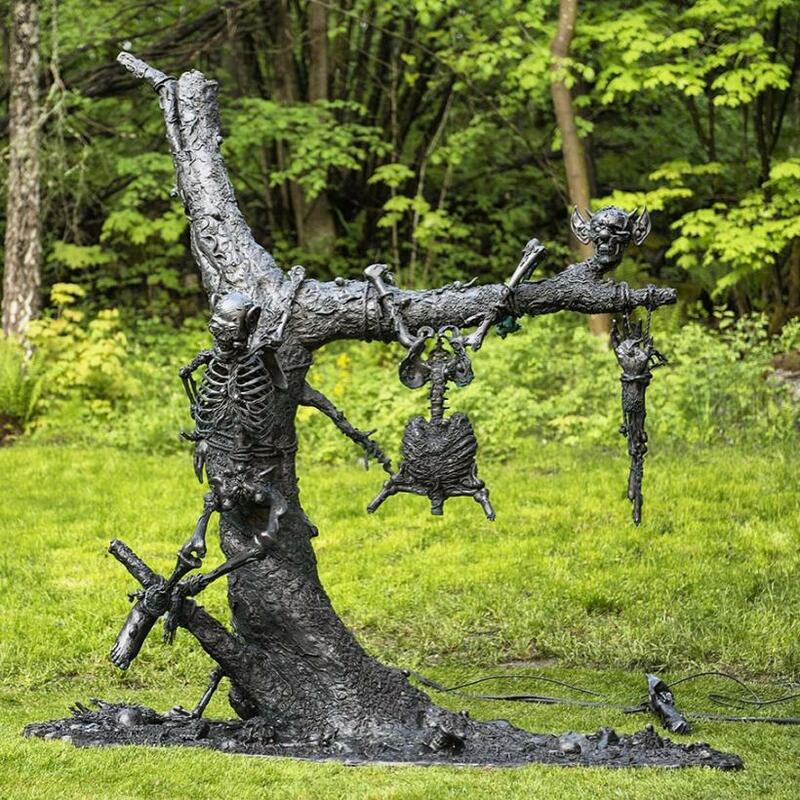 ‘Sturm und Drang’ is made up of child-sized skeletons and monstrous heads that hang from a withered tree stump. The whole piece is scattered with tiny bronze maggots and malevolent glee. I’m reminded of the time I worked in a costume shop, selling plastic clown masks and latex Hallowe’en scars; it is as silly, bizarre, provocative, and crass as you would expect from the Chapmans’ work. 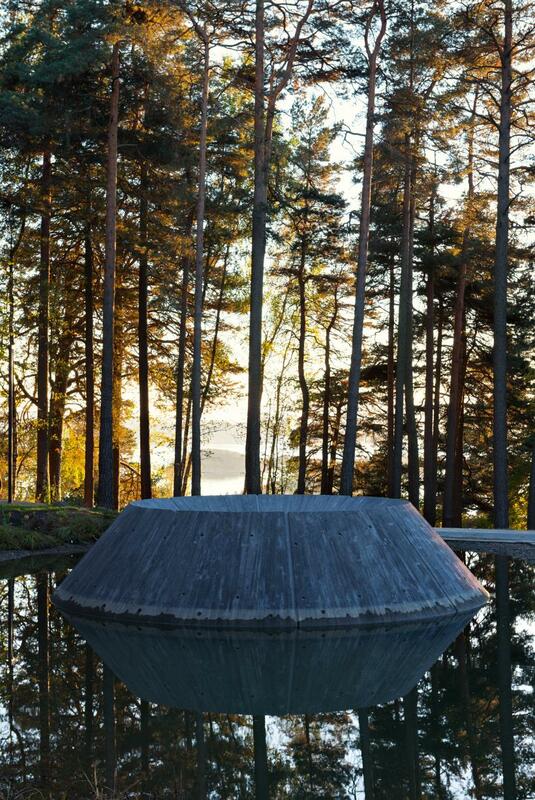 Most incongruous, however, is the sculpture’s setting in the tranquil woodland of Ekebergparken, Oslo’s newest public sculpture park set against the beautiful backdrop of the Oslofjord. 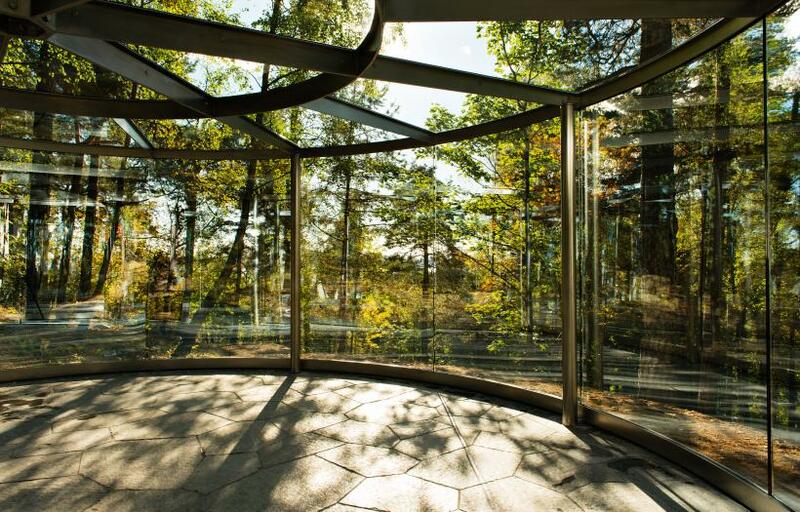 The sixty-three acre Ekebergparken is packed with art world heavyweights past and present: home to a hotchpotch of bronzes by Salvador Dali, Pierre-Auguste Renoir and Auguste Rodin amongst other sculptures and room-based installations. There is a sprinkling of lesser known Norwegian artists also, all set against lushly forested hillsides and gingerbread buildings that house offices, a children’s centre and a tiny museum. 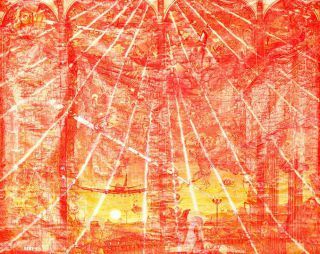 The selection and presentation of work is highly idiosyncratic and overtly determined by the personal tastes of wealthy owner Christian Ringnes who has thus far cherry-picked thirty-five of his favourites to go on show. 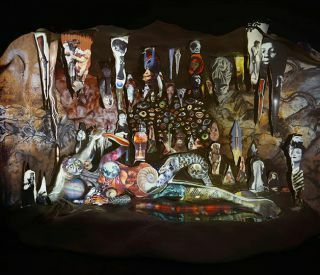 Indeed, the other work freshly unveiled is Damien Hirst’s malevolent marble cut-away, ‘Anatomy of an Angel’ (2008). It looms coldly, menacingly, worryingly, over the hillside. It lacks the Chapmans’ humour too. 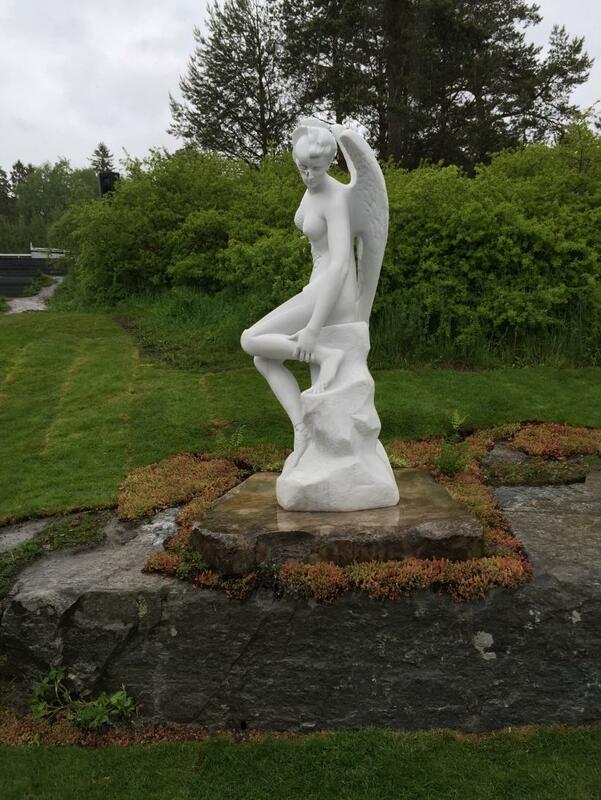 Away from the ostentation and deliberate provocation of works by multiple ‘celebrity’ artists, and while selection varies in quality and interest, the park’s major strength can be found in an attunement between the sculpture and the landscape. 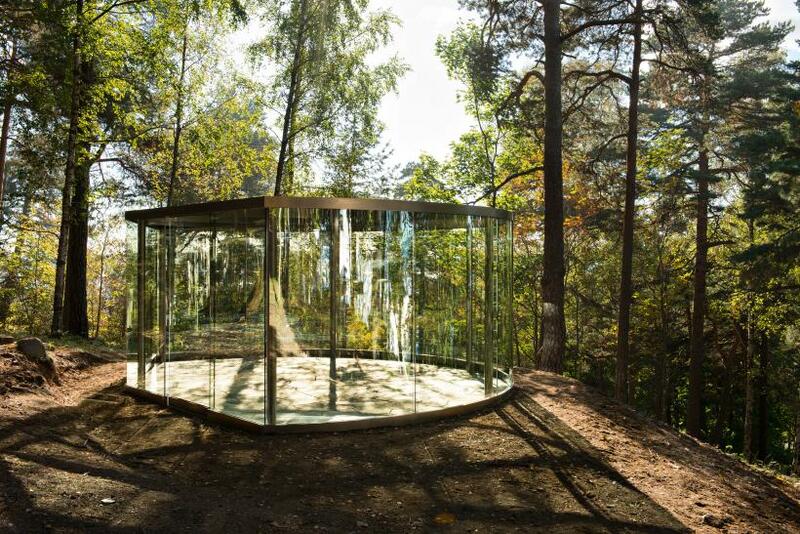 Dan Graham’s ‘Ekeberg Pavilion’ (2013), for instance, elegantly frames and emphasises the landscape while incorporating the viewer into the mirrored pod of glass and woodland. This reflective space is one for looking both at the work and its context, and through and from the work and its context. 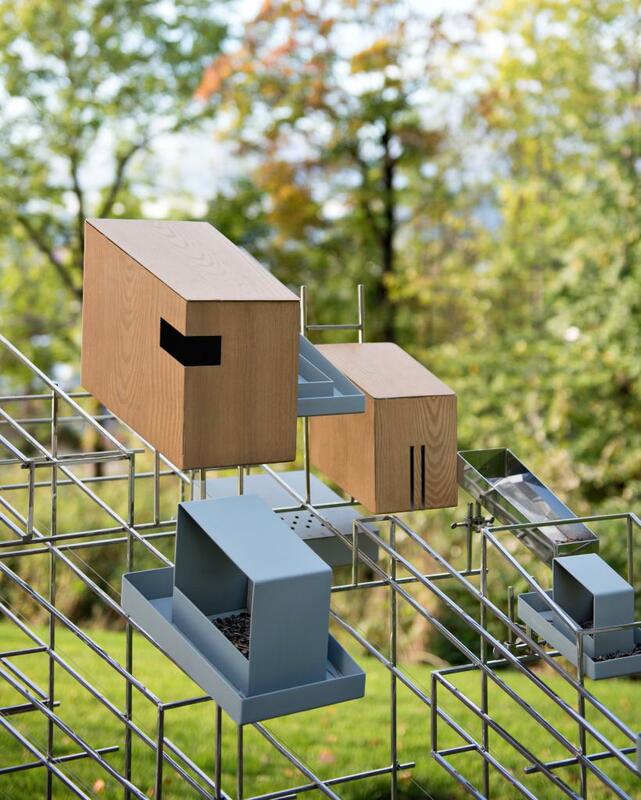 Sarah Sze’s ‘Still Life with Landscape (Model for a Habitat)’ (2011-12) is constructed from a mass of bird boxes mounted on a metal framework, which, although not made site-specifically, is now home to numerous birds and insects in the vicinity. Nearby, James Turrell’s ‘Skyspace: The Colour Beneath’ (2013), dug under a small man-made lake, allows sunlight, moonlight, rain, wind and snow to penetrate its aperture, and in Oslo’s colder months, slippers and blankets are most welcome additions to the visitor experience. Such a symbiotic dialogue with nature works well in this setting. Nature goes on growing, changing, slowly reclaiming these works for herself. Although many of the sculptures on display are static, solid and heavy, the changing conditions of the weather and the woodland present opportunities for reframing works away from the white cube and for rethinking them over time. 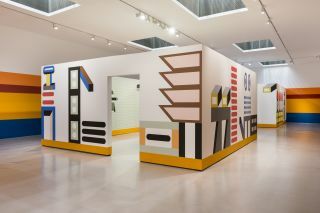 This context is refreshing, particularly in relation to the many very familiar pieces on show, offering a more romantic and organic counterpoint to the starkly funereal content of the park’s most recent additions.